The Golden Cyclo Hotel is located in the Old Quarter of the Hoan Kiem District, just 1.4 km from the city center, an ideal point of departure for your excursions in Hanoi, and 31.3 km from the airport. The Golden Cyclo Hotel has 62 beautiful rooms, each with in-house movies, complimentary bottled water, a hair dryer, TV, and free wireless internet access. Hotel guests have access to a business center, fitness center, laundry and dry-cleaning service, a concierge, 24hr room service, bicycle rentals, babysitting, an in-house restaurant, and airport transfers. Visitors to the hotel can take pleasure in touring the city's top attractions, including Nha Tho, Southern Gate, and the Hanoi Cathedral. Golden Cyclo Hotel in Hanoi! The Hanoi Moment Hotel is located just 0.5 km from the city center, 1.1 km from Le Duan Railway Station, 3.9 km from Gia Lam Airport, and 20.8 km from Noi-Bai Airport. Hanoi Moment features 16 beautifully appointed guest rooms, each including a TV, mini bar, coffee/tea maker, bathrobes, and free wireless and LAN internet access. Hotel guests have access to a restaurant, business center, laundry and dry cleaning service, tours and bicycle rentals. Visitors to the hotel can take pleasure in touring the city's top attractions just a few hundred meters away, including the Old Quarter, the Museum of Independence, Cha Ca La Vong, the Night Market, and Hang Ngang Hang Dao. Hanoi Moment Hotel in Hanoi! The Hanoi Elegance Diamond Hotel is an eco-friendly boutique hotel with elegant decor located in Hanoi's historic Old Quarter, just 0.2 km from the Green Tangerine, 0.4 km from Kiem Lake, 0.5 km from Hang Ngang Hang Dao, 1.4 km from Le Duan Railway Station, 3.4 km from Gia Lam Airport, and 21.3 km from Noi-Bai Airport. 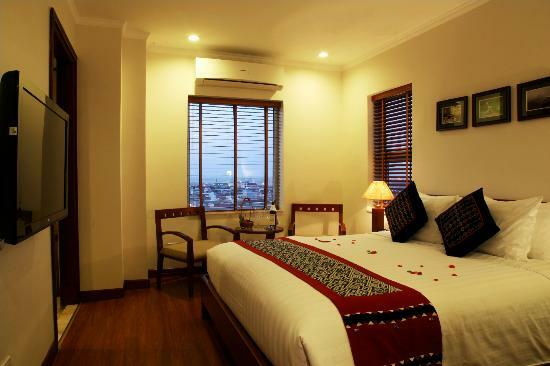 The Hanoi Elegance Diamond Hotel has 34 rooms, tastefully decorated to both business and leisure travellers, with ample space, and modern comfort. Guests can enjoy a variety of hotel services including a restaurant, bar, and coffee shop, a hot tub, a sauna, massages, travel information on daily tours, bicycle rentals, concierge, babysitting, laundry, and free wireless internet in public areas. Hanoi Elegance Diamond Hotel in Hanoi! The brand new IDC White House Hotel is located in the Ba Dinh District, a sight-seeing, culture-rich area of Hanoi, just 1 km from the city centre and 20 km from the airport. IDC White House boasts 30 rooms spread over 9 floors to provide a warm and pleasant home away from home with modern comforts including a washing machine, bathrobes, a hair dryer, a TV, and free wireless and LAN internet access. The hotel has a variety of services for guests to enjoy including room service, laundry service, a fitness center, steam room, sauna, garden, and meeting facilities. Steps away from Quan Thanh Temple, Dong Xuan Market, and the Hanoi War Memorial, the IDC White House Hotel is wonderful place to stay. IDC White House in Hanoi! A brand-new boutique hotel in Hanoi's famous Old Quarter, Calypso Grand Hotel offers accommodation in a prime location just 0.8 km from Le Duan Railway Station, 4.2 km from Gia Lam Airport and 20.7 km from Noi-Bai Airport. The Calypso Grand Hotel has 18 rooms, with 24-hr room service, and free wireless and LAN internet access. Guests can enjoy the in-house restaurant, laundry service, 24-hr front desk, concierge, tours, bicycle rentals, babysitting, shuttle service, and a smoking area. Visitors to the hotel can take pleasure in touring the city's top attractions, including Cha Ca La Vong, the Hoan Kiem Lake, the Old Quarter, the Night Market, and Hang Ngang Hang Dao. Calypso Grand Hotel in Hanoi! The Art Boutique Hotel is located 0.7 km from Le Duan Railway Station, 3 km from the city center, 4.2 km from Gia Lam Airport, 21 km from Noi-Bai Airport. The Art Boutique Hotel has 30 inviting rooms which include a seating area, a desk with a computer, free wireless internet access, TV, complimentary bottled water, a coffee/tea maker, and options for especially quiet rooms. Guests of this hotel enjoy the restaurant, 24-hr room service, bar, business center, bicycle rental, valet parking, concierge, babysitting, and airport transfer services. The hotel is close to many attractions including the Museum of Independence, Hang Ngang Hang Dao, the Old Quarter, Nha Tho, and Le Thai To Mausoleum. 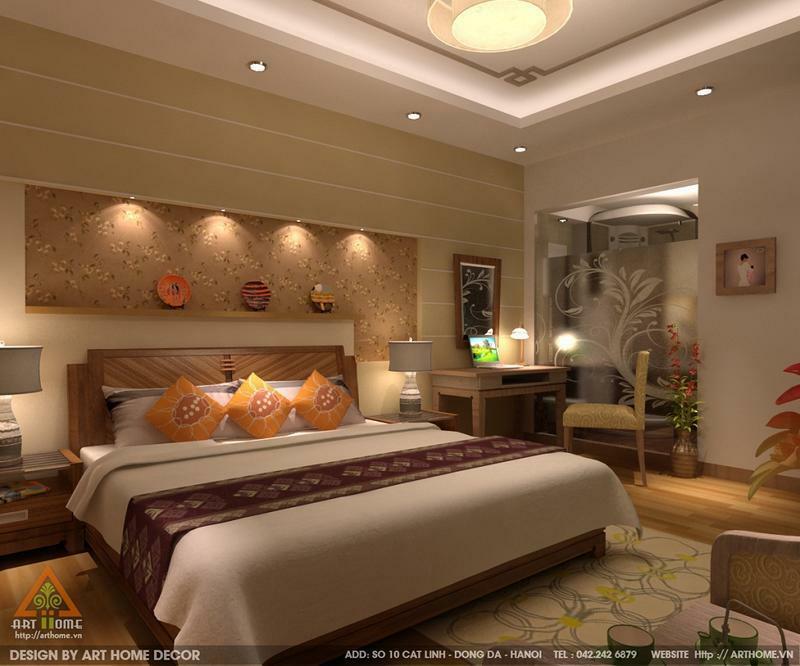 Art Boutique Hotel in Hanoi! The newly built Hanoi Elegance Emerald Hotel is located in the heart of Hanoi, just 1.5 km from Le Duan Railway Station, 3.4 km from Gia Lam Airport, and 21.3 km from Noi-Bai Airport. 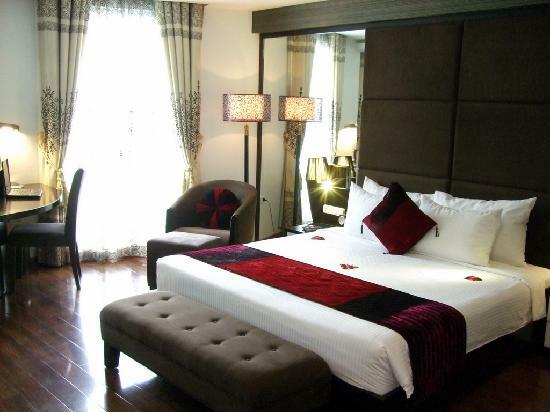 Hanoi Elegance Emerald Hotel has 30 rooms, equipped with sumptuous decor, modern facilities, basic amenities, and free wireless and LAN internet access. Hotels guests have access to many in-house services including a restaurant, coffee shop, bar, 24-hr room service, business center, shuttle service, babysitting, hot tub, sauna, spa, and massages. Visitors can explore nearby attractions including Ngoc Son Temple, the Hanoi Opera House, Thang Long Water Puppet Theater. Hanoi Elegance Happy Hotel in Hanoi! 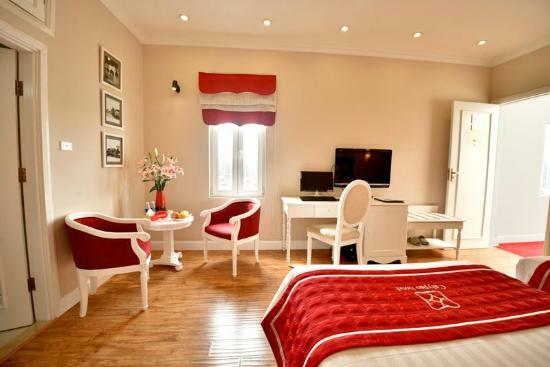 The newly-built Splendid Star Boutique Hotel is located in the Hoan Kiem District of Hanoi, 1.6 km from Le Duan Railway Station and 6.5 km from the Gia Lam Airport. The Splendid Star Boutique Hotel has 24 rooms which exude an atmosphere of peace and harmony and have free wireless internet access. Guests of the hotel enjoy the in-house restaurant, coffee shop, 24-hr room service, laundry service, concierge, salon, bicycle rental, tours, an executive floor, and a smoking area. Visitors can explore nearby attractions including Nha Tho, Le Thai To Mausoleum, and the Hanoi Cathedral. 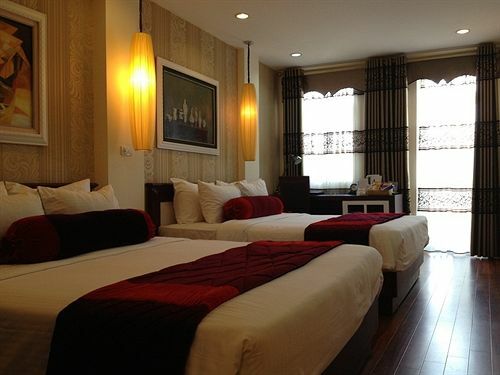 Splendid Star Boutique Hotel in Hanoi! 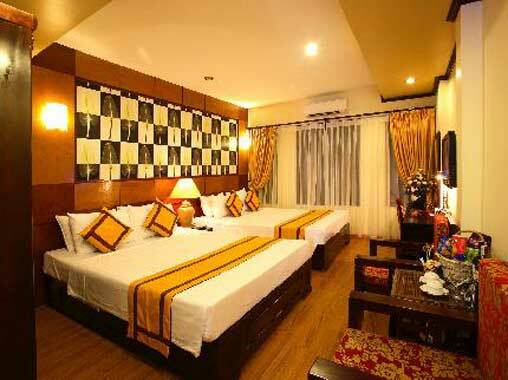 The Golden Silk Hotel is located in the Hoan Kiem District of Hanoi, just 0.9 km from Le Duan Railway Station, 4 km from Gia Lam Airport, and 21.2 km from Noi-Bai Airport. The Golden Silk Hotel has 55 exquisitely decorated, non-smoking rooms, equipped with LAN internet access, a coffee/tea maker, and an in-room safe. Guest enjoy 24-hr room service, a restaurant, bar, tours, bicycle rentals, wireless internet access in public areas, laundry service, babysitting, a business center, and shuttle service. The hotel offers an excellent variety of recreational facilities including a steam room, Jacuzzi, sauna, spa, and massages. Visitors wishing to explore the city can enjoy the nearby attractions such as Le Thai To Mausoleum, Hanoi Cathedral, and Nha Tho. 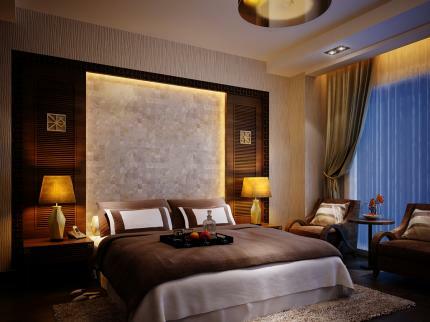 Golden Silk Boutique Hotel in Hanoi! 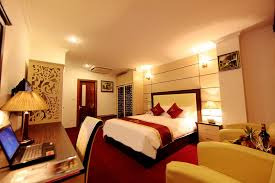 The Rising Dragon Palace Hotel is located in the Hoan Kiem District of Hanoi, just 0.1 km from the city center, 0.6 km from Le Duan Railway Station, 4.4 km from Gia Lam Airport, and 21 km from the Noi-Bai Airport. The Rising Dragon Palace hotel has 51 non-smoking rooms, each with complimentary bottled water, a mini bar, and satellite/cable TV. The hotel's facilities are equally attractive with pet-friendly rooms, accommodations for physically-challenged guests, 24-hr room service, a restaurant, coffee shop, tours, bicycle rentals, shuttle service, a concierge, and laundry service. Guests visiting the area can enjoy the nearby attractions including the Hanoi Flag Tower, Cha Ca La Vong, the Old Quarter, and Hang Ngang Hang Dao. Rising Dragon Palace Hotel in Hanoi!